Thoughts on all things mobile and digital. Business to business (B2B) mobile applications, like all enterprise mobility apps, are becoming more prevalent throughout industry. These applications continue to be explored as an improvement to paper based interactions and are often looked at to replace or augment EDI type interfaces between organisations. Pharmaceutical industry providing solutions to pharmacies to manage inventory and reordering. Third party logistics (3PL) providing solutions for inventory management and proof of delivery. Wholesale manufacturers providing mobile product catalogue applications to retail buyers. Marketing companies providing mobile survey applications. Utilities providing service and/or data collection mobile applications to subcontractors. 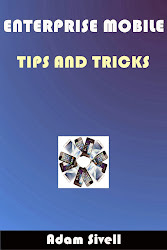 Mobile applications developed for conferences and trade fairs. Real estate industry providing mobile application for outsourced valuations and inspections. I've just scratched the surface and as you can see this is a broad brush of different types of mobile solutions. Some would work best with dedicated hardware & native/hybrid solutions and some may be better suited to a web-HTML5 style application. 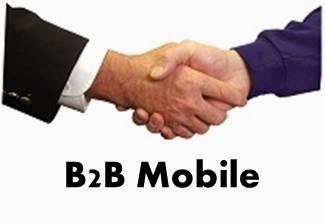 Hello, I have always heard about mobile applications but b2b mobile apps is something new and which thrills me. Looking forward for more information on this.